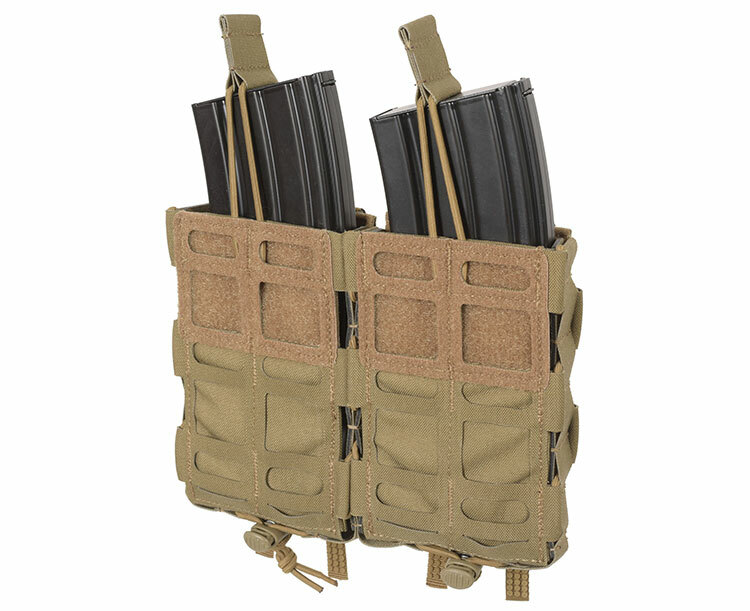 Intended for transportation and fast reload of two Assault or Battle Rifle magazine. 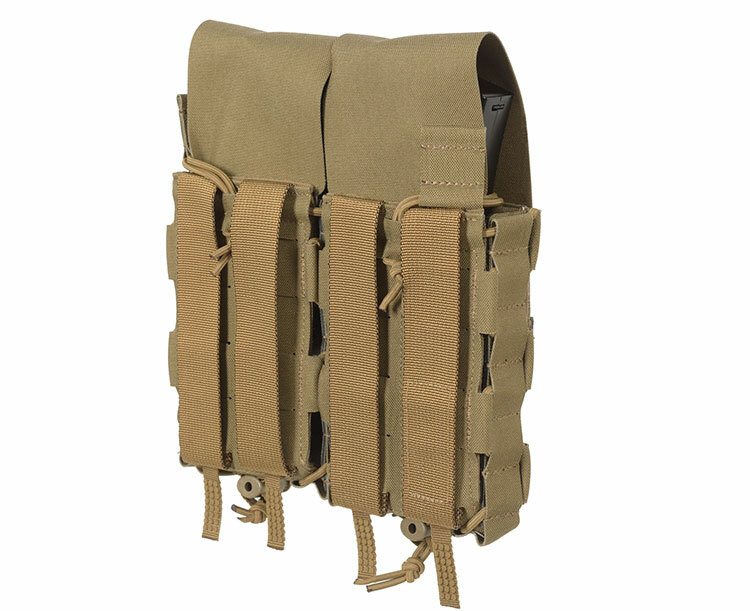 Adjustable/removable flap with OMEGA grab-tab and/or retention cord with pull-tab. 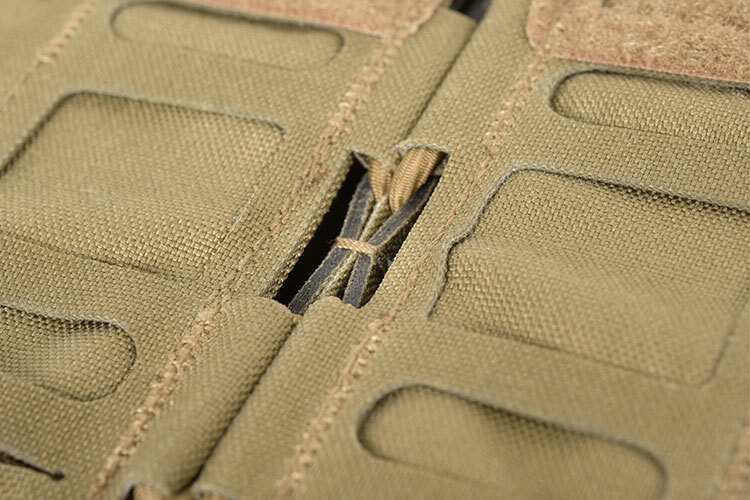 The expandable walls make it possible to extract the magazine towards the sides or the front from any position. 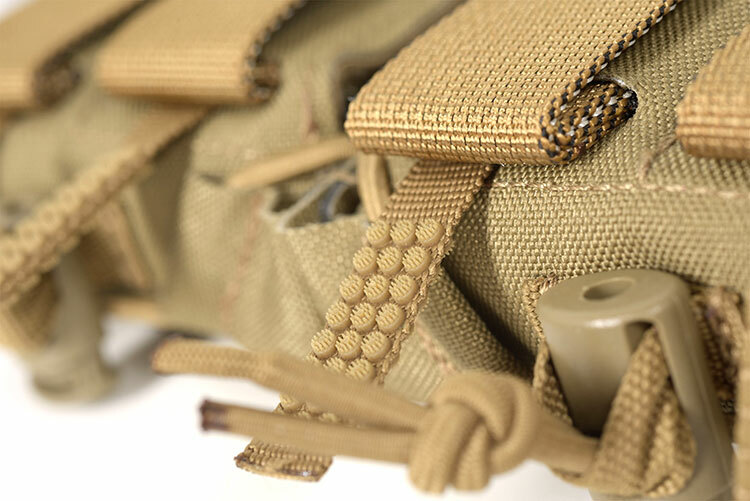 The cordstopper located at the bottom enables the user to adjust the volume of the pouch to fit both assault and battle rifle magazines. 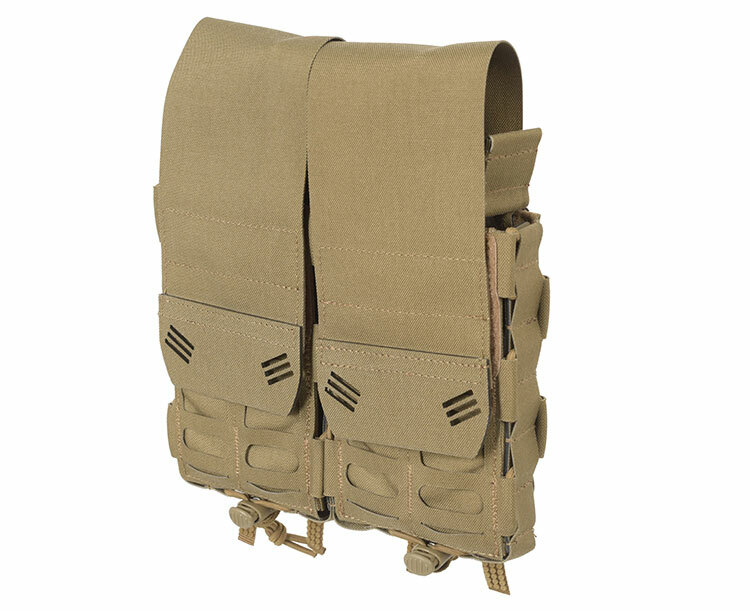 ALPHA Square Attachment Interface on the external face makes it possible to stack pouches.